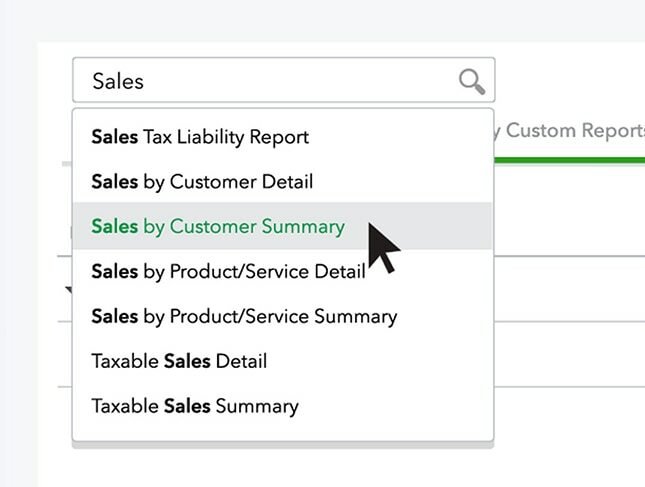 QuickBooks has lots of pre-created reports you can customize to show you the information you need the way you want to see it. 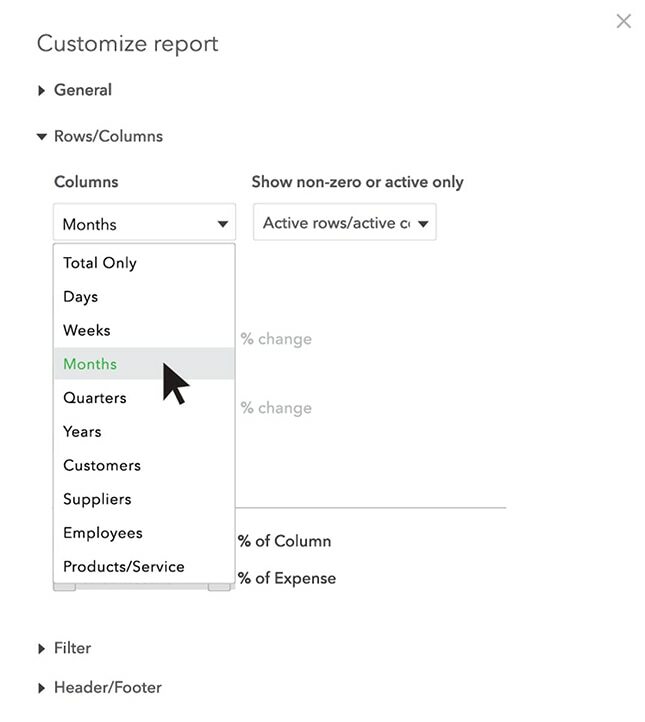 You can email your custom reports automatically too. Here’s how you do it. Let’s start by customizing a Profit & Loss report. To do this from the Home Screen, go to the Reports page on the left navigation bar. Start by opening the regular Profit and Loss report. 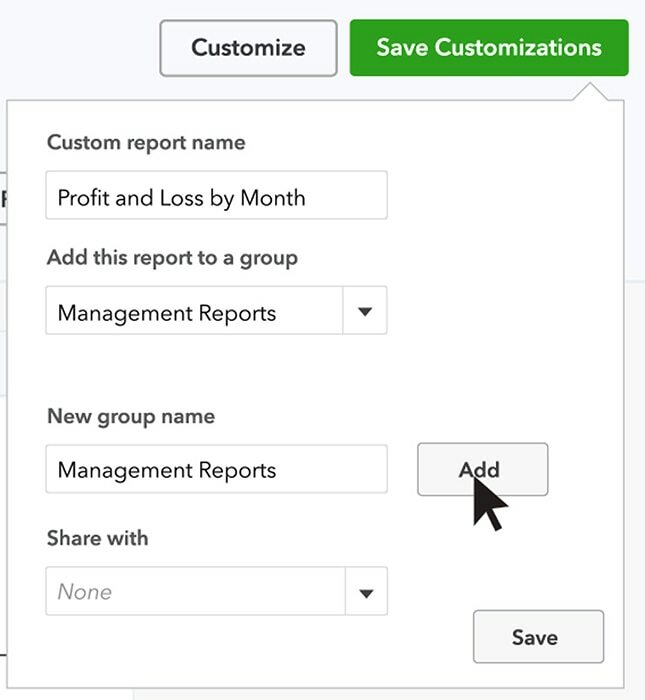 On the Profit and Loss report page, click Customize. 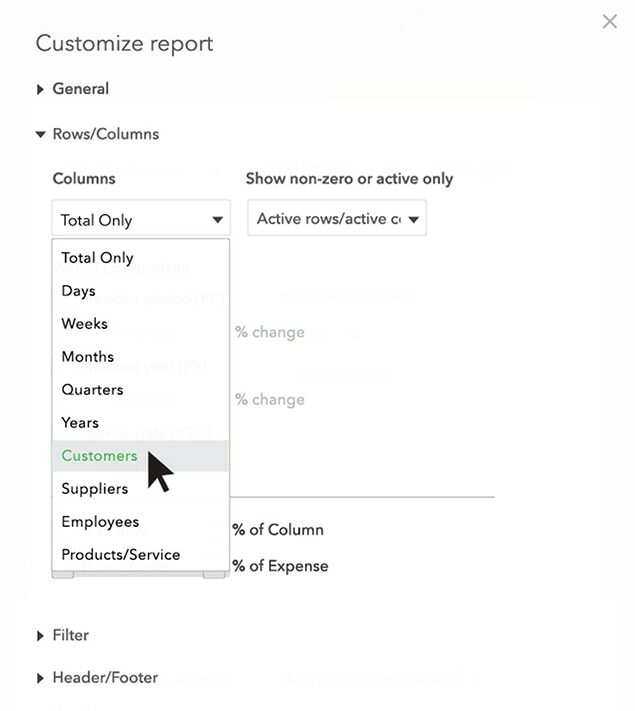 You’ll notice that there are several options available for customizing your reports. If you’ve got some time, try playing with the different customization options to see what they do. You won’t hurt anything, and you don’t have to save your experiments. For this example first we’ll choose to show Profit and Loss by month. 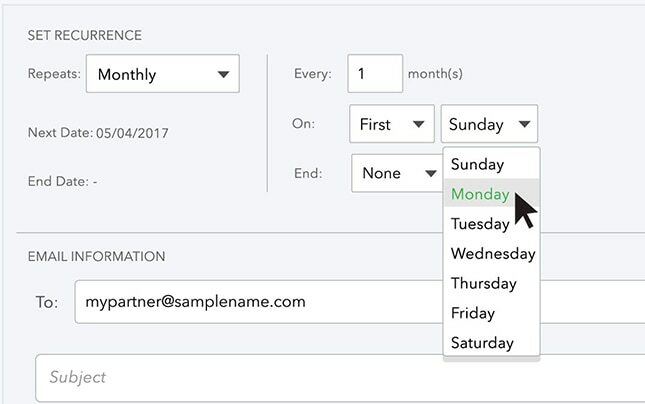 To do this, go to the Rows/Columns settings and in the Columns box, choose Months as your parameter. 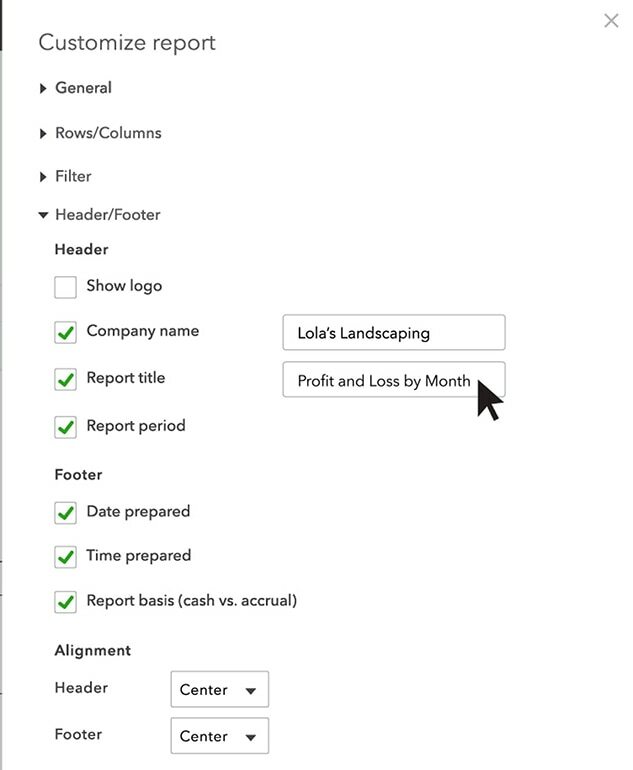 Next go to Header/Footer and change the Report Title to Profit and Loss by Month. Click Run Report to see your custom Profit and Loss by Month report. To save your changes, click Save Customizations in the top row. 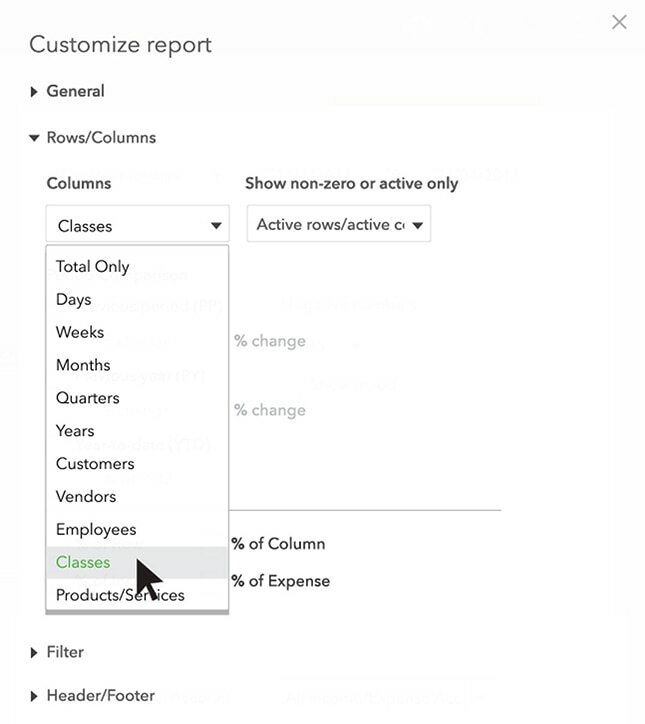 Click Add Management Reports from the dropdown menu options available and click OK when you’re finished. Save your new report group when you’re finished. 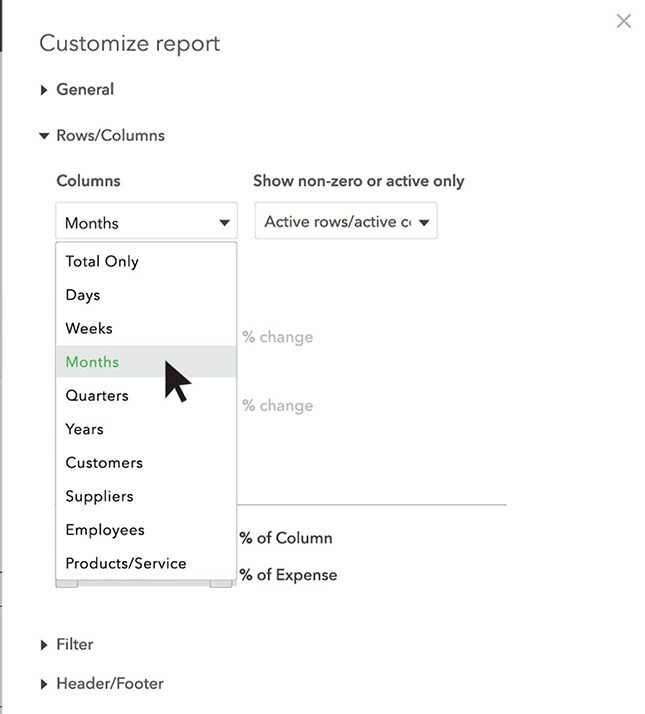 Any time you want you can go to My Custom Reports and click the name of the custom reports you’ve created to run an up-to-the-minute version. Now let’s create a custom sales report. For example, how about one for “Sales of Design Services by Customer” broken down by month? To do this, go to the main Reports screen and type Sales into the search box. Then, from the drop-down menu choose Sales by Customer Summary. 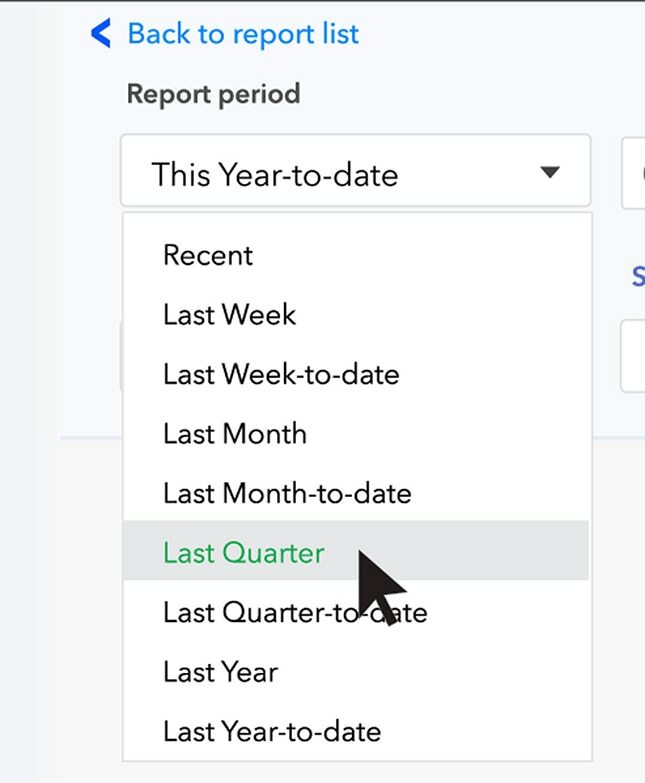 Next change the Report period to Last Quarter. 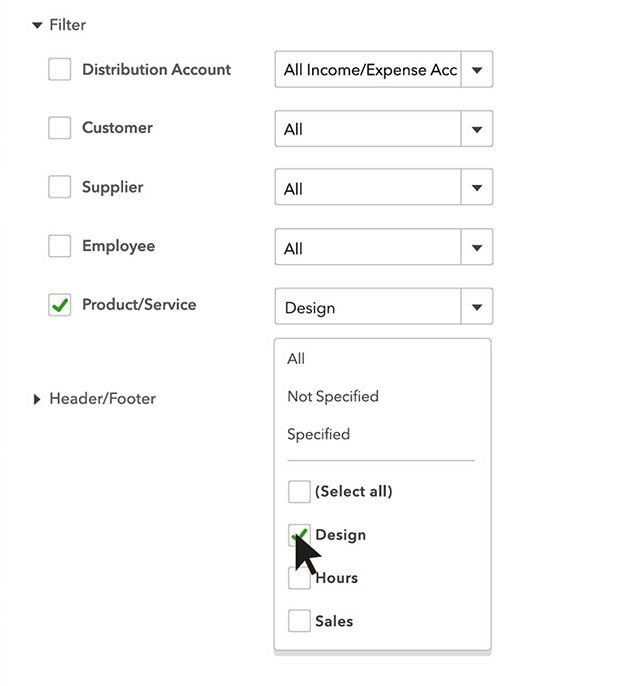 To do this, click on the box below the Report period header and choose Last Quarter from the drop-down menu. At the top of the screen click on Customize. Go to Rows/Columns and choose Months in Columns. Now go to Lists and choose Design for your Products/Services. 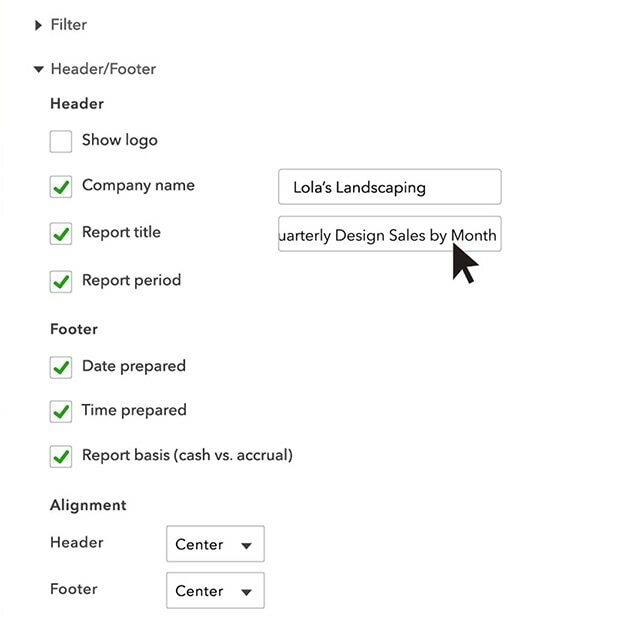 Finally, go to Header/Footer and title this report “Quarterly Design Sales by Month”, then click Run Report. In your Custom Sales Report, you can see that Design sales lagged in January but picked up by March. Don’t forget to save your customizations by clicking Save Customizations at the top of the screen. Add this report to your Management Reports group, following the same steps you did in the last example. You can email your Management Reports to your business partner every month. 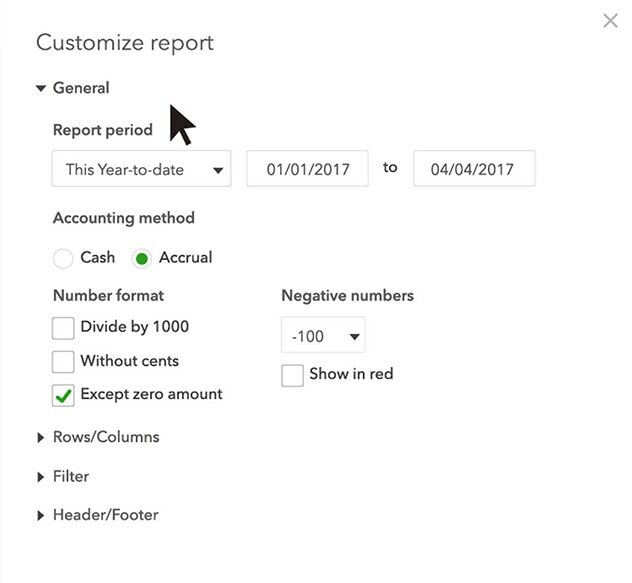 To do this, first go to the Reports screen and find the group under the My Custom Reports tab. Click on the name of the report group, in this case “Management Reports”, then click Edit. Click Set the email schedule. 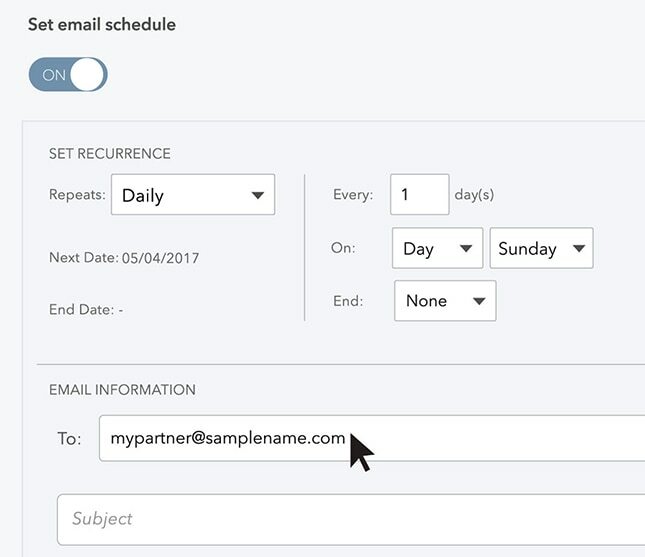 Enter your partner’s email address into the “To” field below. In the Set Recurrence section, choose Monthly on the First Monday of every Month. Click Save and close when you’re done. Now all the Management Reports will run automatically and be sent to your partner on the first Monday of each month. 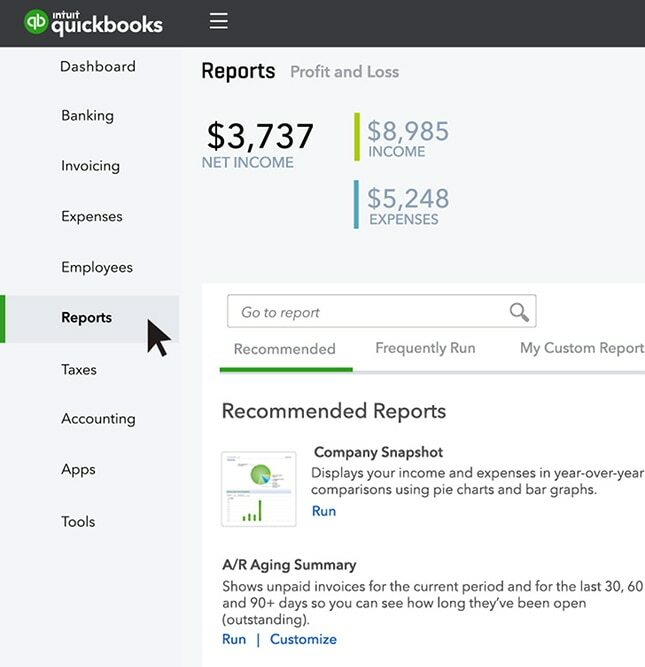 QuickBooks has reports that are relevant to specific kinds of businesses. You can customize these to suit your unique business. 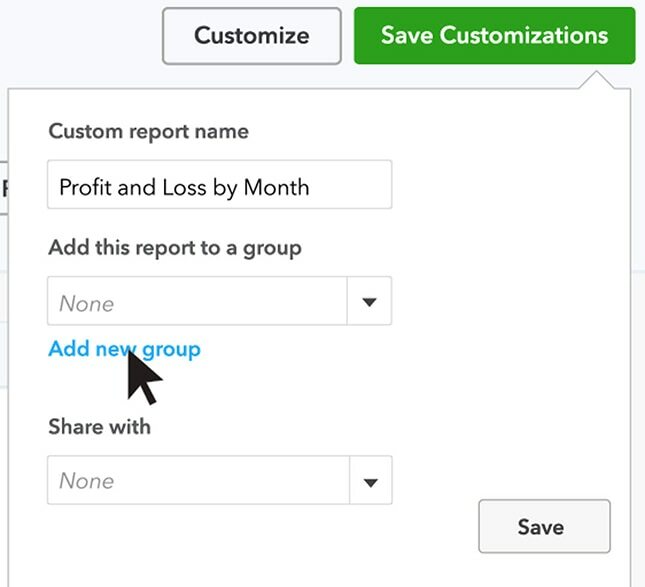 For example, if you do projects for customers, customize the Profit & Loss report with a Customer column to see your profits by project. 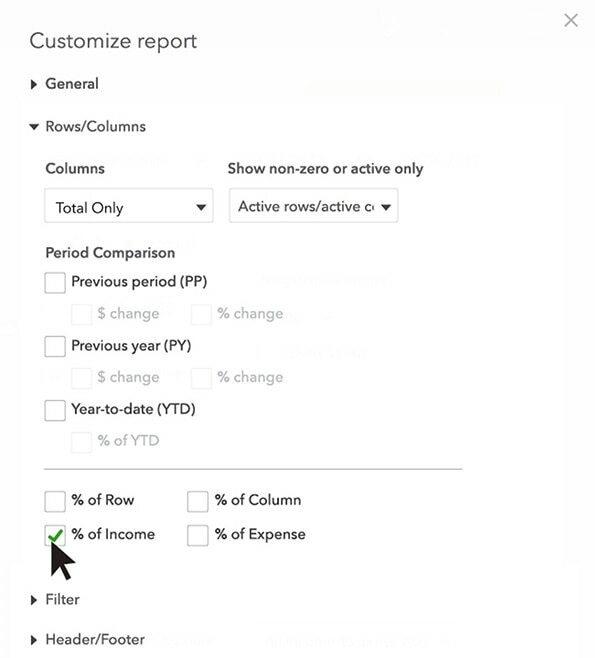 Or if you run a nonprofit, you can customize the Statement of Activity report to see how much you’ve spent on fundraising, programs and administrative expenses. 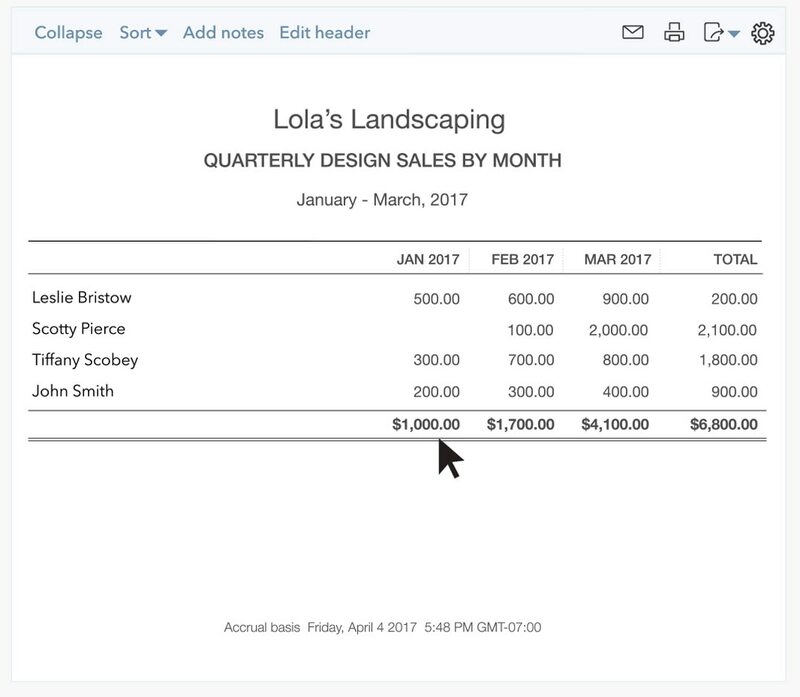 Or if you’re in retail or e-commerce, you can customize the Profit and Loss reports to see how much of each dollar of sales you spend on overhead expenses like rent and utilities.